When house prices start to slip it is tempting to try and restore the value of your home by investing in improvements, but be careful what you spend your money on. Forking out cash on home improvements and additions might improve your home environment but that doesn’t mean they’d make it any better for anyone else. So if you are considering some household renovations with an eye on improving the saleability of your abode then bear in mind that there are some things, be it a swimming pool, mock Romanesque columned porch or a dodgy DIY loft conversation, which will likely leave house hunters distinctly unimpressed. 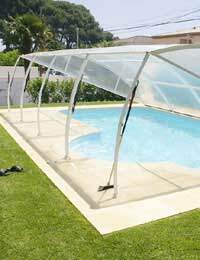 Of the most common and costly of worthless home improvements there are few that can come close to the swimming pool. If you’re a keen swimmer, not put off by the inclement British climate and have pots of cash to flash, then by all means install a swimming pool in your property. But if you’re thinking of your property’s sale value and think that the addition of a swimming pool immediately equals highly desirable plot of luxury, then think again. Swimming pools can cost the brave and foolish up to £20,000 and apart from leaving a damp stain in the wallet can make the home less appealing to families with small children and those concerned about costly upkeep and heating costs, whilst the inflated price tag would scare off almost everyone else. Your personal tastes are what make a home your own but they are also what make it less appealing to those others who want to make your home their own. So if you’re thinking about spending money on new additions that will express your unique personal style then don’t expect a potential buyer to be willing to foot the bill. If you don’t want to waste pots of cash on home improvements of the personal kind then be sure to keep them easy and cheap to replace. They don’t even need to be your own personal tastes. For instance don’t expect every house hunter to be imbued with the same immaculate appreciation of expensive Italian bathroom design - or anyone to be, ten years down the line. Home buyers are much more interested in the use of space. But it’s not only personal taste that leaves potential buyers cold, there are some other home improvement rule-breakers that will raise more eyebrows than excitement levels. Unless you’re living in a flat or a bungalow then a ground floor bathroom won’t go down too well for instance, and neither would an open plan kitchen/dining room/lounge/hall. Extra space may be one of the ultimate home value enhancers but only as long as it is not at the expense of style and proportion. So if you owned a desirable but poky ‘Arts and Crafts’ house and then decided to create more room by affixing a incongruous slab of concrete on the backside you would likely scare off more people with your stylistic barbarism than attract with the extra space. An attractive garden may enhance the appeal of a property but not its value. House hunters will only be looking at the size of the space and thinking about what they can do to personalise the garden area. Your fancy decking and elaborate fountain centrepiece won’t wow them into parting with more cash. So by all means expend a little effort in making your garden pleasing to the eye – such as by keeping the grass mowed and the flower beds weeded and colourful – but don’t invest any money.